No wonder, the website is the front face of a business. It represents your business professionalism and seriousness. Having said that, it is your website that depicts you and your business. In fact, Expert says the presence of stylish and stunning design can keep site visitors engaged. Consequently, it will give them a reason to look no further. Unfortunately, I’ve noticed many of creative agency owner, couldn’t prioritize the such a crucial aspect. Though there are plenty of free responsive Bootstrap themes available over the web, they are unable to select the best bootstrap templates. Well, I understand how daunting the task of getting the right template. It is like the “Been there done that” situation for me! It literally puts you under pressure. But no more. To simplify your template selection steps, I have made an enriched collection of free HTML templates. The list is well curated and researched, picked out each template individually based on sleek interface, UX, and cutting-edge features. Furthermore, every website theme is readily responsive and mobile friendly. It supports modern browsers and SEO friendly. The best news is most of the templates are powered by Bootstrap 4, optimized for W3C validated and has a blazing fast speed. Even better, they are well documented and comes attributed under Creative Common License. Let’s have your desired responsive Free Bootstrap themes in your bucket. Though the responsive free Bootstrap templates are minimal, they are highly capable to answer all your design question. All these HTML5 Bootstrap templates are lightweight, fast loading, engaging, vociferously luminous, feature-dense, and graphically impressive, Therefore, they are ready to tailor with corporate firm, business agency, graphic design studio, freelance photographer website, portfolio for creative professionals, travel journalist house, professional business portfolio, web development firm, Software IT company, and other service-oriented websites. 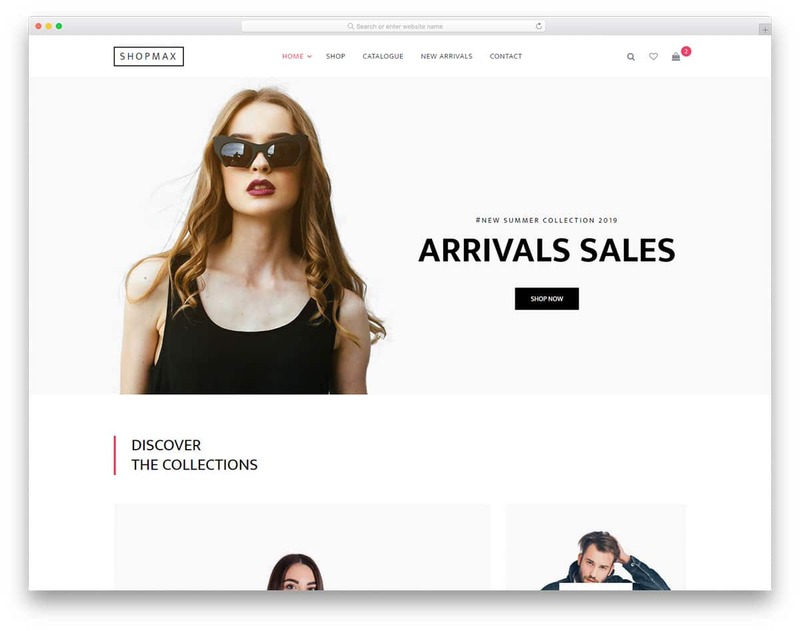 Shopmax is a thoughtfully designed website template for eCommerce stores and online (fashion stores). Without any compromise in design, the creator has made this responsive website template look great in tablets and mobile devices as well. More than enough white space is given in this template so that the user can easily interact with the web elements even on the small screen devices. In the homepage itself, you can showcase some of your best products and curate the new users. By keeping this template as a base you can create your own custom template in no time. As all the basic works are taken care of by the creator, you can concentrate on the backend work. Breed2 is clean and modern looking website template for portfolio websites. This template can be used for all types of professional’s websites. The clever design of this template not only highlights your work but also highlights you. By increasing your personal branding on your website will increase your visibility. Throughout the template, the developer has used colorful gradient color schemes. Interactive animation effects like the color shifting effect makes this gradient rich website lively. Basic portfolio pages and services pages are also given in this template to help you easily promote your business. 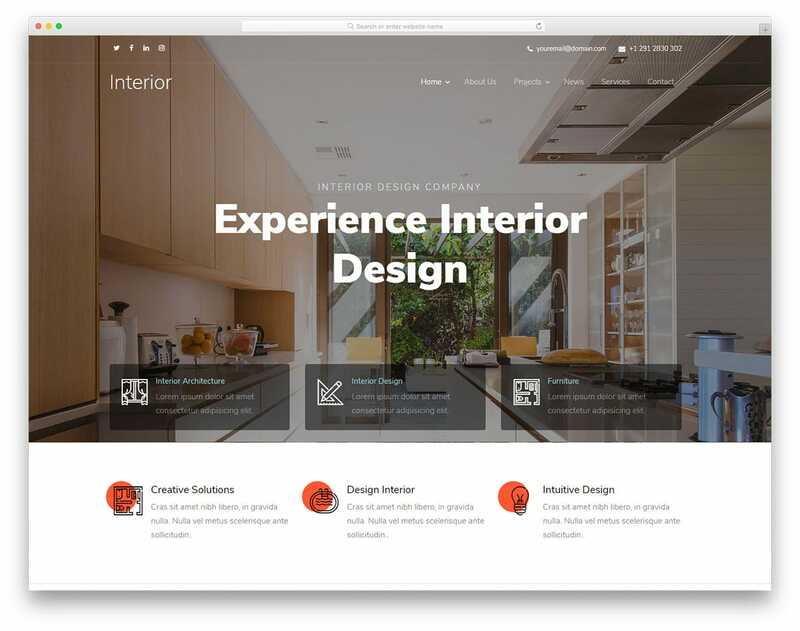 With the Interior design website template, you can reach your customers easily on the go. You can explain your projects and the latest design from the handheld device itself. On the clean white layout, the icons and the texts are clearly visible so that the user can easily read the contents. Creative web elements are used in this template to spice up the design. Image and texts contents are used equally throughout the template so you can explain your designs clearly to your customers. The only thing this template misses is the project detail page to give a detailed overview of a project. Apart from that, this template has all the features you need to set up a proper business website. Making your restaurant website mobile responsive is a must on this smartphone era. A dedicated mobile application is a smart move, but still, there are plenty of other online reservation applications are in the competition. Making your website mobile responsive will help you cover all kinds of users. The Sneaky website is built on a strong code base with a flexible nature. So you can easily integrate other applications and tools to this template. On the pristine layout, the food images look beautiful and will activate the taste buds of the users. All the basic pages are pre-designed for you, just add your contents and launch the website. 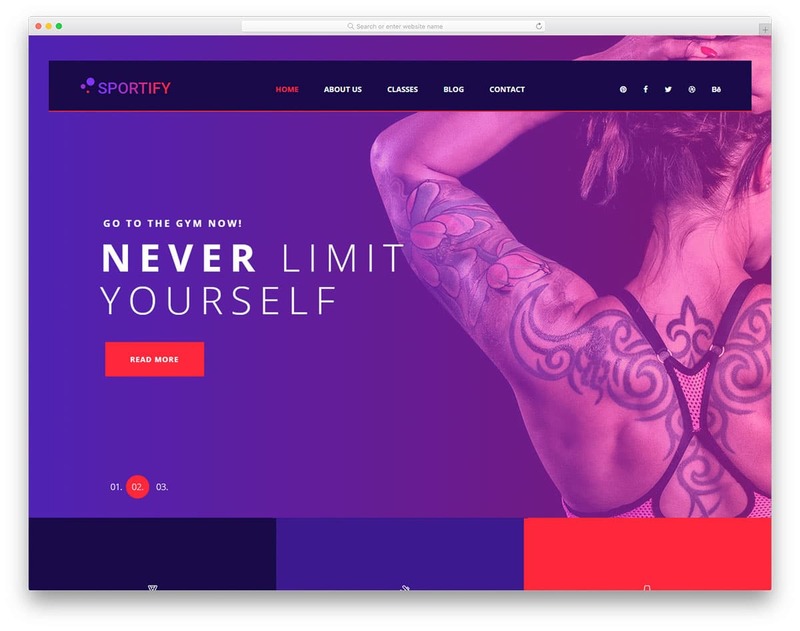 Sportify is a colorful and bold looking website template for fitness studios and gyms. With this trendy looking website template you can make your users strong and how your programmes will help them get in shape. Lots of space is given for the image contents to let you showcase your gym and motivate the new users. Pricing tables are also given in this template, in which you can clearly explain the features in a programme. Beautiful icons are used throughout the template to elegantly list your services and features. One of the major advantages of the internet is you can search and learn anything on the go. No more we need to sit in a closed room for several hours of lectures. Present-day students wish to learn on the go. If you are planning to start or to redesign an education website, the Edusmart is the best option. 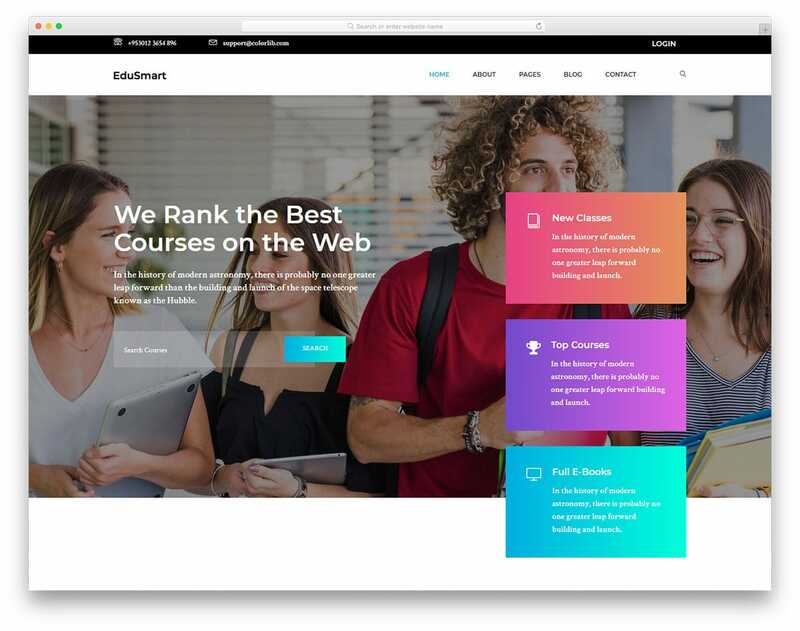 This template is designed exclusively for online course offering websites. With trendy color gradient color schemes this template will attract the modern users. Neat segmentations let you easily group your course and feature them elegantly. In the top bar, you have space to add contact details and user login option. This template does not have a pre-designed login form, but you can use check our free login form template collection to create one easily. Both course page and course detail pages are given in this template. So your tutors can explain their courses clearly to the users. Since it is an HTML5 template, you can even add videos to explain the course. 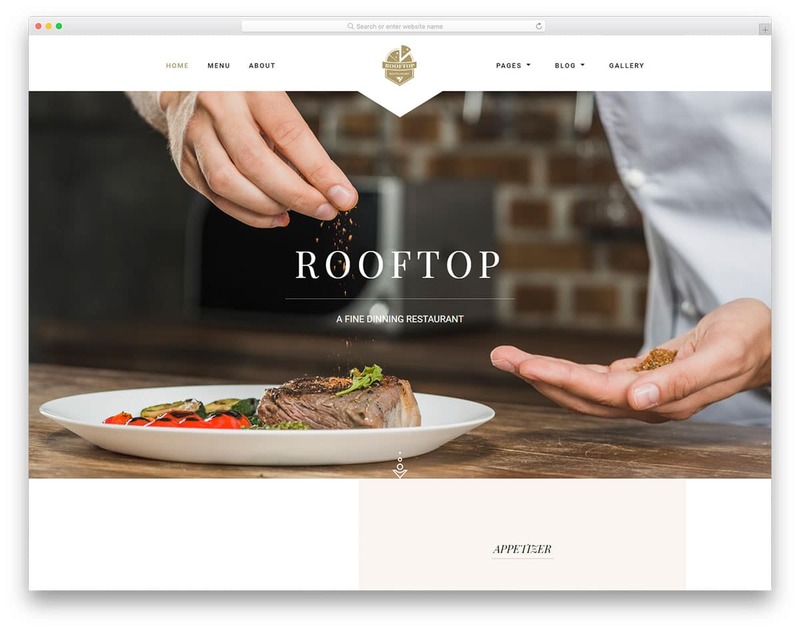 If you are looking for something different from the usual restaurant website designs, the Rooftop is worth a look. The designer of this template has used a full-width layout to elegantly present your contents. Ample amount of space is given for both text and image contents. Sensibly designed homepage let the user get basic information and services like table reservation from the homepage itself. You can see two geometric shapes placed at either side of the page to highlight the important options of restaurant websites, food menu and table reservation forms. Visual effects have played a major role in this template. The developer has used his logical creativity to add life to the beautiful design. Shadow and depth effects are used smartly to differentiate each element from the others. All you have to do is to add your contents and launch your website. Customizations can be done easily with this template as it uses the latest website development frameworks. As Google is giving more importance for responsive design in its ranking factors, bloggers must consider using a mobile responsive theme or template. 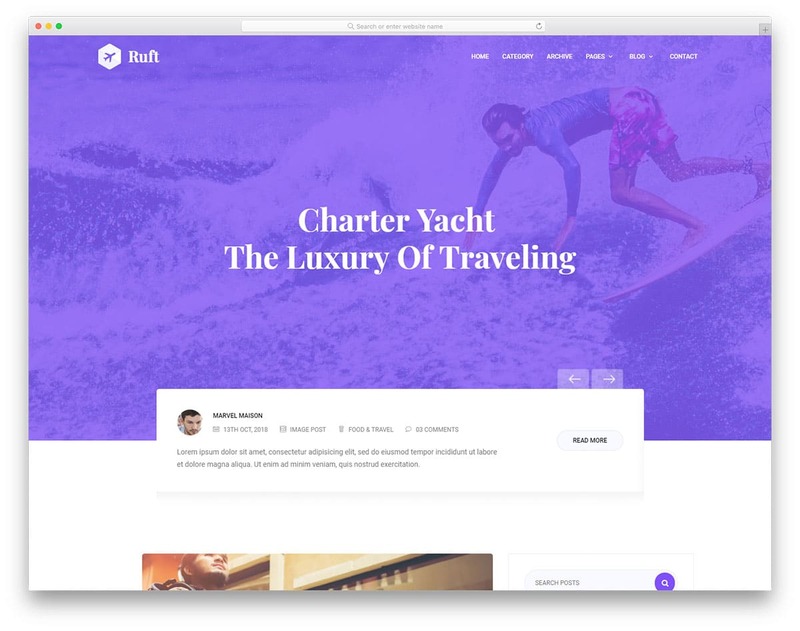 Ruft is a beautifully designed blog template. This template is full of colors and clean backgrounds to help you present the contents engagingly to the users. In the homepage header section, you have a static header image and below it, you have a widget to show the latest post along with author images. Since it is primarily designed for the blog websites, the fonts are selected with care. The texts are clean and easy to read and at the same time, it also looks trendy. A sidebar is given in both the homepage and in the single post page. You can add your own widgets in the sidebar apart from the default ones given in it. Adding elements and integrating widgets with this template will be an easy job. The creator of this template has made it flexible enough for customization. Glint is a beautifully crafted, technologically enriched, modern, clean and versatile free HTML5 responsive website template. This template has been created to help the users get the perfect website for their digital agency. It not just matches the digital agency website requirements, it also caters the other creative professions like photography, designers, etc perfectly well. Above all, it has got everything that it takes to hit the minds of the visitors and create that remarkable first impression on them. In addition, Glint is HDPI ready that means your website will appear pixel sharp and super stunning on all kinds of devices. And being fully responsive in addition to being retina ready is just the bonus. Moreover, it has the stunning portfolio section that is quintessential for a creative agency website. I mean who would trust you if they know nothing about you. Thus, you can showcase your services and stuff and tell them about your company in a convincing way. And to provide your website an interesting look no hard works required as it has the animated stats in store. So, use this amazing template today and experience the ultimate website creation extravaganza. Massive is one of the best free responsive app landing website template and rightly so. It is impressively designed, sufficiently powerful, versatile, highly customizable, technologically sophisticated, professionally curated and everything. From the fresh release to promotion tasks, this template is just the perfect match to execute all the strategies required. It is loaded with the horde of features that you can leverage to get you the website of your dream! Furthermore, It includes every essential elements and characteristic needed to advertise your web or mobile apps internationally. This template is SEO optimized to get your masterpieces with all the attention it deserves. Not just that it also boosts your conversion. Ain’t that a great news.? Besides, your users can easily download your fresh app from the website itself through the links to the app store and the google play. Just a great way to give the app users a smooth experience. All things said this is the template that will make you stand out online and who knows you might rule the niche market! Primex is a neat and clean, responsive business website template, meticulously crafted to enhance the actual look and appearance of your business website. It’s easy to use and customize, ships with plenty of business and corporate firm oriented page which let you convey your perfect business message with ease. So, Primex comes combined with a sleek homepage, about page, blog page, multi-column portfolio page, job page, clients page, FAQ Page and contact page. Besides packing all possible elements that are considered must have for the professional business website, you can use it as personal portfolio Bootstrap website template or digital resume HTML5 website theme. Primex is an intuitive, fascinating, engaging and extraordinary, adds responsive and mobile friendly slider, personal and business about details, service insight, area to show experience, skill, and capabilities, client testimonials, logo showcase of trusted and big brands, pricing, and call to actions. The best part of this amazing free HTML website template for business is its awesomeness. It’s lightweight, fast loading, SEO friendly and cross-browser optimized, coded efficiently so that the codebase remains secure and well-organized. Marketer is a colorful, high performance, clean, minimalist, perfectly responsive and mobile friendly html5 bootstrap template. It’s crafted with modern technologies like Bootstrap 3 frontend framework, HTML5, CSS3 which keep your website lightweight and fast loading. 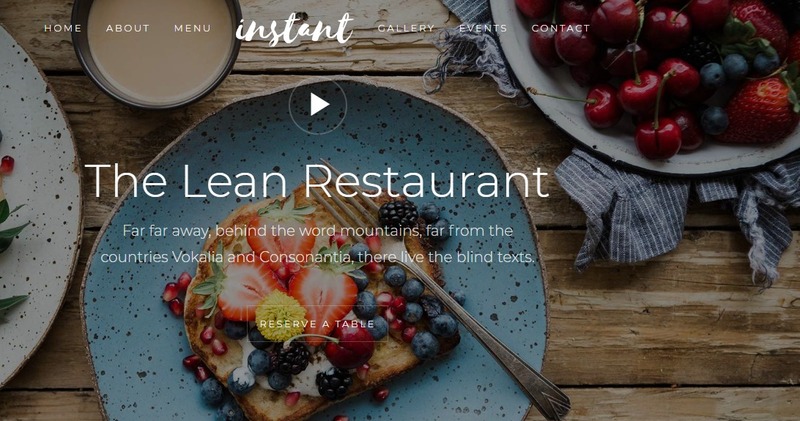 It means whatever the environment it will be, with this bootstrap business theme your business website will be visible everywhere. 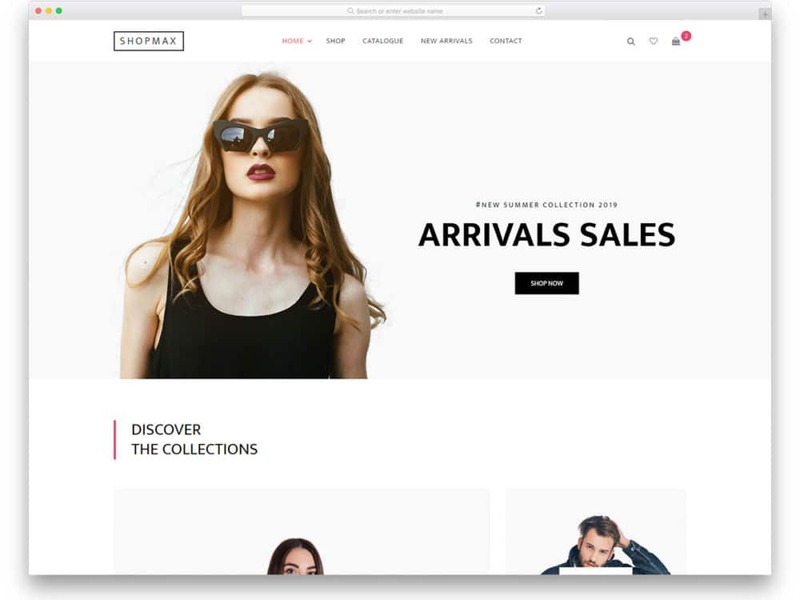 The Business HTML template is easy to use and customized, comes with the bootstrap grid system, Bootstrap sticky navbar, bootstrap slider, and other prebuild elements. Marketer is ready for Digital Marketing Website Template ships combined advertising industry oriented content elements. So, it includes advertisement service section, satisfied client testimonial slider, client logo showcase, case studies section, team, Google Map, contact form, and drop-down menu to navigate other essential pages. Restaurant, the name itself is self-explanatory! It is a modernistic, simple yet sophisticated, luxuriously professional website template for restaurant websites. The intuitive interface along with the premium like features shouts out how much of effort and time the developers have put in to bring this template in this form. Moreover, it is well researched, efficiently coded and so well structured. Undoubtedly, the end result will be just as delicious as your menu. Additionally, it has the promising features to make your dishes and menus presentable in a mouthwatering manner. Unlike other websites, your restaurant website will have the section to showcase your highly rated dishes. Moreover, a spacious section is reserved solely for a featured dish. Furthermore, this template is fully compliant with the major web browsers. Also, it is fully responsive and optimized for speed and search engines. Just load your website with all the yummy menus and you are just a briefly away from the big launch. Make this template your restaurant business companion right away and win yourselves the big happy times. X-Corporation is a most downloaded, highly functional, visually aesthetic, 100% responsive, mobile friendly, and best business html5 bootstrap template comes packed with an incredible color combination, stylish typography, bootstrap responsive slider, megamenu for large screens and off-canvas menu for small devices. The reason for XCorporation being so popular is its extraordinary design interface. No doubt, it gently impresses the visitors and helps you to quickly convey the business message with ease. The responsive Bootstrap HTML5 business template has everything ready to put your website in production. Having any level of coding knowledge, you can create your corporate agency website in no time. 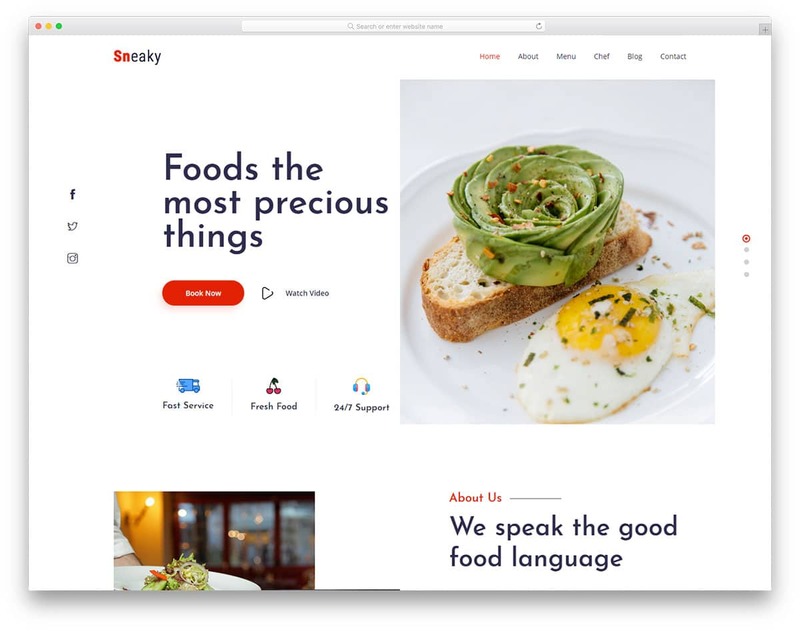 To make your website journey simple and remarkable, it includes Google Fonts, search, flex slider, team gallery, satisfied client testimonials showcase, font awesome, smooth scroll and more. Orchid is a simple, clean, impressive and amazing HTML5 Bootstrap corporate responsive website template. It’s beautiful, incredibly helpful, offers unmatched possibilities to serve your business need comprehensively. It’s crafted with modern equipment like Bootstrap frontend framework, Google fonts, Carousel Slider, Font awesome icon, and more. If you are looking for an amazing platform where you can showcase your key contents in the hero area with an animated slider, Orchid would you perfect match for you. The responsive corporate website template is best for business portfolio, personal portfolio, freelancer project showcase, and business service providing company. So, it comes packed with lightweight and fast loading interface which let your site loads in the quickest possible time. The best of it is cross-browser and mobile friendliness, let you customize the theme according to your requirement. Even you can convert it to your desired CMS with ease because codebase is clean and well-organized. Every business owners have their own set of issues to deal with when it comes to finding the perfect template for their website. However, this template is the solution to all of them. Transcend is undoubtedly one of the free responsive website templates that you will stumble upon. It is modern, has a sophisticated look and has been professionally curated and efficiently coded. It has all it takes to impress your visitors and add them to your lists of loyal customers. In addition, it has a full-screen banner to catch the eye of your visitors instantly. Moreover, it has a navigation to the portfolio and the testimonials to give a sense of a loyal company to your potential clients. The live preview page is definitely the show stopper. keeping in mind the role of the user experience in the conversion rate, the developers have followed the mobile first approach to build this template. Thus, your business website will look stunning and appealing on every device irrespective of their screen sizes. So, create a website using this template and give your business the taste of success! Metalix is another responsive corporate agency html5 bootstrap template, offers highly attractive, modern, engaging, professionally coded, visually polished, streamlined, pristine, versatile and excellent. It’s exclusively designed for the construction industry, engineering, manufacturing and heavy equipment installation including steelwork, fabrication, subsea, mining, profile cutting, rail transport, oil and gas, skid and pump frame, petroleum industry, and other machinery business website. The design of construction company website template is navigationally intuitive, wonderfully successful, professionally resourceful, easy to use, highly modern, charming, pleasing, and efficiently crafted. Packed with amazing things, Metalix has been popped out to be an incredible tool for webmaster to create cutting edge and sophisticated industrial business websites with fun. Metalix offers a plethora of modern technologies and component. So, in this free Bootstrap HTML5 business template, you get access to amazing CSS3 animation, Google fonts, stylish typography, OWL Carousel, cross-browser support, W3C validated SEO friendly codebase, Bootstrap framework, team member showcase, and a lot more. Philosophy is an extraordinary, stylish, technologically sophisticated and graphically impressive blog template that is best suited for all kinds of blogs. Whether you a starter or a professional blogger, this template decently fits in all levels of requirements. This template offers the pre-built blog layouts so that you can simply add in your contents and your blog website is ready to slay. However, it also has unlimited customization options if you want to give a personal touch to your website. After all, it’s your website! The features that are likely to appeal you the most is its grid layout. It just makes the template stand out. Moreover, with this template, you have an option to either one particular niche or include all topics under one roof. That is to say, you can categorize your blog post easily and do not have you stick to one subject, in particular, to write your thoughts out. Furthermore, this template is profoundly optimized for search engines. Thus, your blogs will be more visible on the popular search engines such as Google. Besides, it is fully responsive and mobile-friendly, thus the appearance of your website is all in good hands. No matter what device your readers will choose to go through your blogs, they will be amazed by its design and captivated by the contents for sure! Those who serve as the plumbing contractor and provide the services of a handyman, Fontanero Bootstrap HTML template is the best match for their website. With this responsive bootstrap theme, they can showcase in-depth details of their professional services and can create their bootstrap plumbing service website without costing money. Do know why? Fontanero is built with Bootstrap 3 framework. It is equipped with responsive header turns into the collapsible off-canvas menu in small devices with the component of the bootstrap mobile menu with a toggle button. Booster is proficiently crafted, simple, elegant, sleek, professional, blazing fast, high converting, and one page mobile friendly responsive HTML5 Bootstrap landing page website template. It’s visually clean, creatively stunning, offers a streamlined and optimized platform to boost your site conversion and sales comprehensively. The interface of this theme is high converting comes combined with all helpful and useful elements that let your run business lending for health, startup, web app, real estate, travel agency, online courses, professional expertise, web development, SEO consultancy firm and more. The simple bootstrap theme is equipped with modern technologies. Such technologies are helpful in keeping your website optimized. Moreover, you can convey your business message to your targeted users with ease. 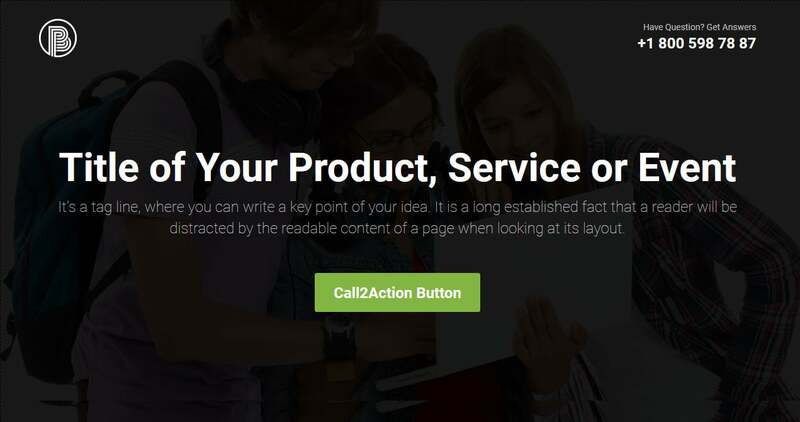 Booster template is straightforward extraordinary, offers full-screen hero area, service showcase to demonstrate your outstanding service packages, business process, project countdown analytics, feedback from statistics clients, and cat to actions. You might have already guessed from the name of the template about what the template is best suited for. Yes, Event is a modern, creative, profoundly intuitive, professional and extremely powerful event website template. It has all the outstanding and the trendiest features and magnificent characteristics. I bet there isn’t a single feature about this template that won’t whoo you! You can simply use this template to promote all of your upcoming important events and see the number of attendees increasing significantly. The best part is its cutting-edge design that perfectly complements its functionality and ease of use. You can showcase your event schedule and also introduce the speaker and major personalities that add your event’s worth. In addition, your visitors also can have the access to the event’s sponsors through the section separated for it. And to level up the excitement, you can share your success stories as well. Furthermore, it offers an unlimited customization possibility. It is also mobile ready and fully responsive. Build your website using Event website template today and let your event success story be created! 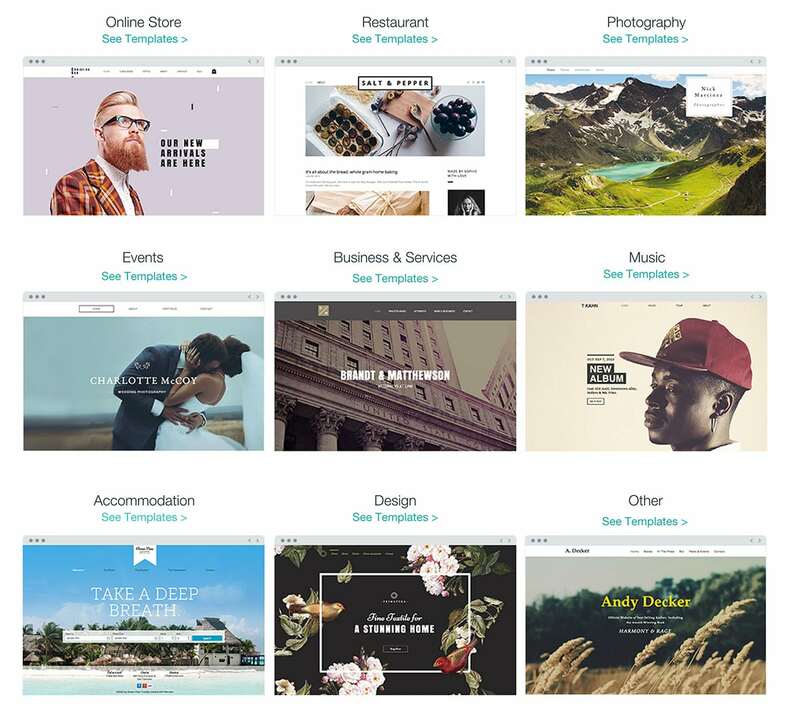 Interbizz is aesthetically clean, entirely professional, highly modern, engaging, memorable, remarkable and free responsive website templates for business. 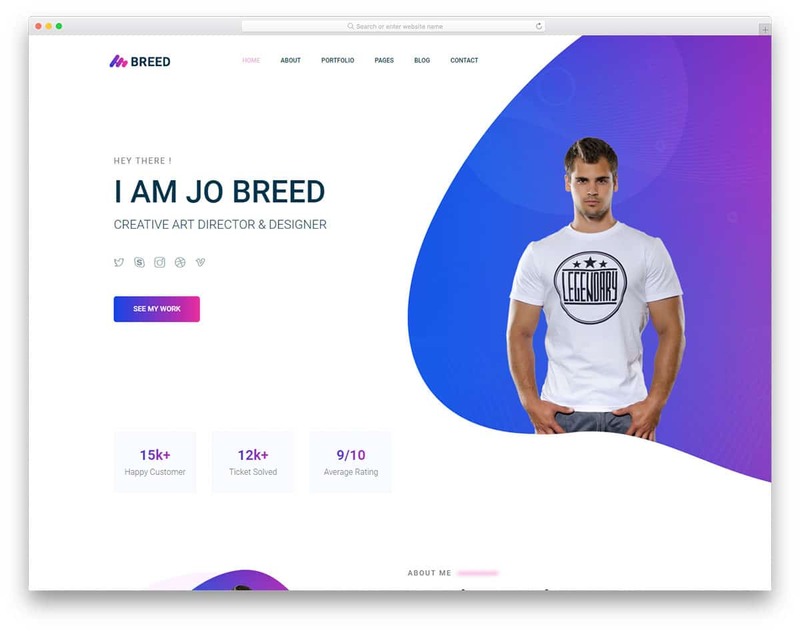 The design and structure of this template are excellent and mesmerizing, can help you create such website that your visitor loves. It’s crafted with modern technology like Bootstrap 3 framework, HTML5, CSS3. It sports Font Awesome and Owl Carousel. This stunning website template just perfect for giving your business the web exposure it deserves. Interbizz is intelligent and powerful, can resize automatically based on devices viewport. On the other hand, it gets compatible with the latest version of the modern browser including Google Chrome, Mozilla Firefox, Apple Safari, Microsoft Edge and more. It is fully responsive and retina ready. Hence, it looks seamlessly perfectly well on all type of devices regardless of their screen size. All in all, it has everything to give your business the heights you always dreamt of! Instant is clean, sophisticated, trendy, functionally refined, featurely vibrant, prudently responsive free HTML5 Bootstrap template. This template is perfect for restaurants, drinks or bars websites. However, its flexibility allows you to use it for creating any sort of websites as per your preference. It is builty with the Bootstrap 4 framework and includes jQuery, HTML5, CSS3, and Sass. Moreover, it features a responsive slider, JQuery counter, and a beautiful navigation. In addition, it has a fully functional contact form. Best of all, it includes a secure codebase and is mobile-friendly as well as cross-browser compatible. If you don’t have enough technical knowledge to code for your business website, don’t worry. It offers all possible guidelines needed. It also allows non-tech website owners to create highly engaging and professional free restaurant website. Besides, it sports Google fonts, Background Slider and more. Disclaimer: Before adding the awesome Responsive HTML5 CSS3 website template on this list, I’ve tried to check their license for legal attributions in the free version. Maximum of them requires footer link back as credit. But I recommend you to go through the license terms at least once before putting the template on the production server. It helps you away from legal complications and gives free bootstrap themes author the proper salutation.